Crikvenica is a small coastal town in the region of Kvarner; together with Novi Vinodolski it is the centre of the riviera of Crikvenica. Kotor is considered the old Crikvenica; it is situated on the top of a nearby hill. The oldest material human remains belong to the Illyrians. 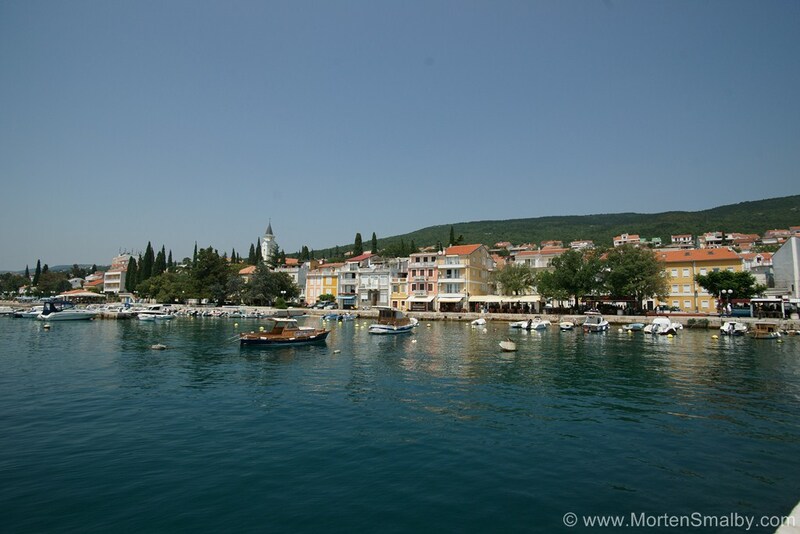 The history of Crikvenica is connected to the nearby Vinodol valley from which settlements gradually moved to the coast developing from trade ports to fishermen’s towns and finally to tourist destinations. 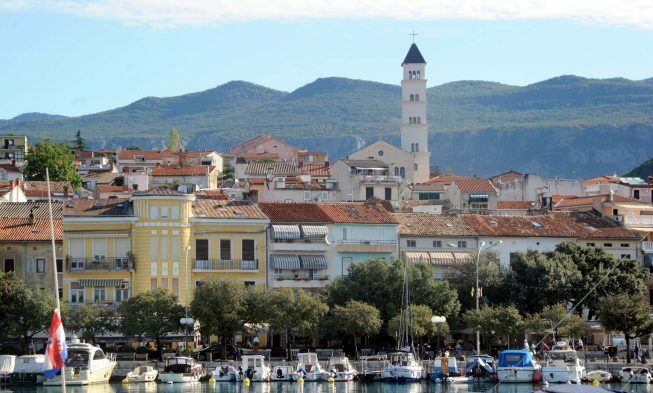 Tourism in Crikvenica started developing at the end of the 19th century; in 1894 the first hotel was built and Crikvenica was proclaimed a climate resort. In 1888 in Crikvenica, the first public beach was built which marked the beginning of organized tourism. 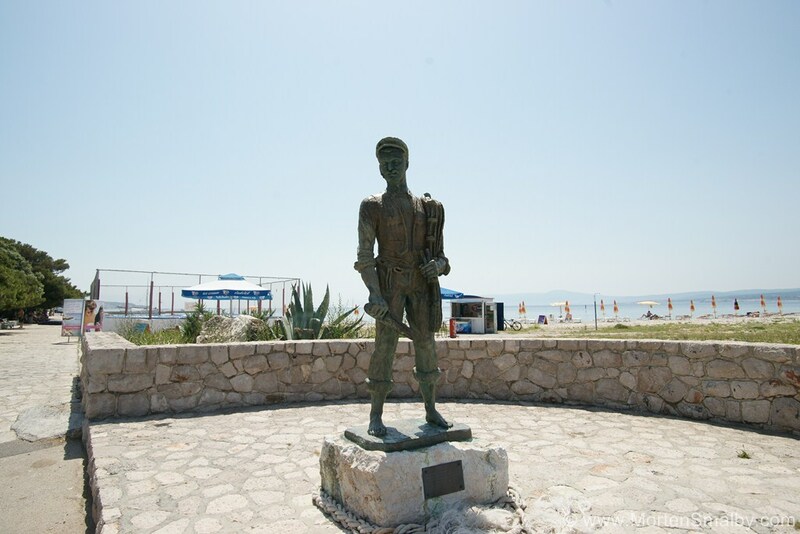 The beach Gradsko kupalište (Public beach) is a famous Crikvenica sandy beach which, since 1998, has had the Blue Flag. It is adapted to the disabled, the entrance is paid from 8 till 17 and then it becomes a promenade and amusement park for the children. At the beach one can find various sports: water skiing, water parachute, beach volleyball, table tennis… There are many bars at the beach, restaurants, sports and children playgrounds, a waterslide, souvenir shops and small shops with fruit, vegetable and pastry. Crni Molo beach is part of the Public beach which is known for a shallow bay suitable for children and for playing the famous game of picigin. 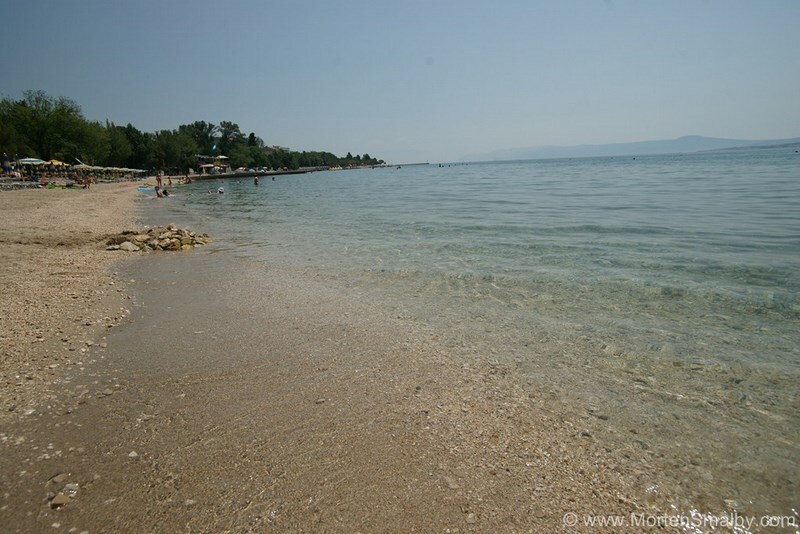 Balustrada beach is a pebbly beach which stretches from the Public beach to the centre of Crikvenica. It also has the Blue Flag. It is possible to rent sun chairs, parasols, pedal boats at the beach. There is also a playground for children belonging to the beach. Kastel beach is a pebbly beach in front of Kastel Hotel, in the centre of Crikvenica. You can rent sun chairs and parasols at the beach and have a meal in the Stella Maris restaurant. Kacjak beach is a long pebbly beach within the eponymous tourist resort. It is located in a quiet bay surrounded by Mediterranean vegetation. It is possible to rent sun chairs and parasols at the beach or freshen up in a bar at the beach. It is interesting that Crikvenica has a dog beach which was open in 2010. The beach Podvorska is situated near the marina and it was in 2013 proclaimed the best dog beach on the Adriatic. There are a few hostels in Crikvenica, but the majority of accommodation units can be found in private accommodation like apartments, villas, studio apartments and single rooms. 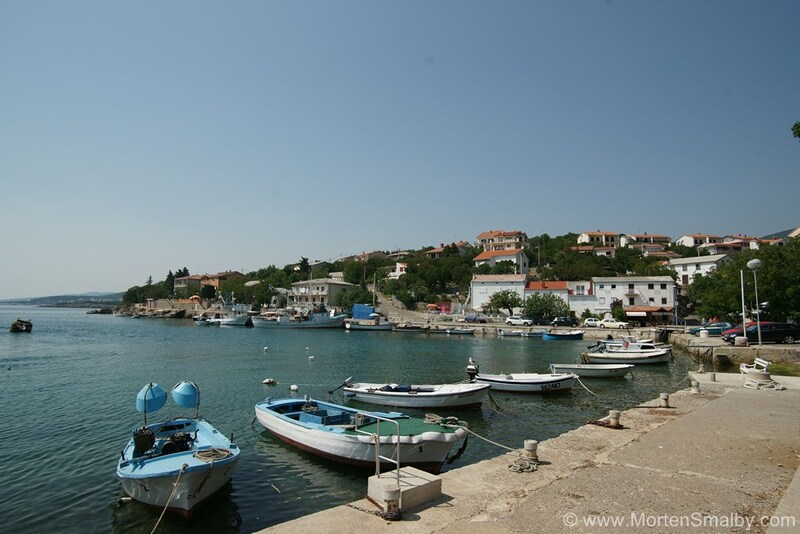 Regarding camps, there aren’t any in Crikvenica but several of them can be found in the nearby places like Selce or Dramalj. The camp Uvala Slana is located in Selce and it has 174 parcels. Within the camp there is a store, a restaurant, a small pool for children. Mobile houses have two bedrooms, one with a big bed and the other with two single beds, a kitchen with all the appliances, an air-conditioner, a toilette with a shower. It is possible to rent pedal boats, play table tennis and tennis and there is a playground for children. Gastronomy in Crikvenica is based on fresh ingredients from this area. Hotel and restaurant menus offer dishes prepared in a traditional way; various fish dishes, home made soups and pastry. Thirty most famous Crikvenica recipes are gathered in the book named Kuharica naseh non (Our grandmothers’ cookbook) which was released on the occasion of 600 years jubilee of Crikvenica in order to preserve the tradition of preparing coastal delicacies. Some of the popular restaurants in Crikvenica are Galija within the eponymous hotel which offers a great variety of national and international dishes and a very rich wine list; Maestral restaurant, which is one of the first restaurants in Crikvenica, has delicious meals which have many times been awarded; Bego restaurant which is situated at the very entrance to the city, above the city centre, in peaceful surroundings has a large terrace and offers great dishes and very good wine. As far as sights are concerned, in Crikvenica you can visit several churches but the oldest preserved one was built in 1412, the church of the Assumption of the Blessed Virgin Mary. Olive mill – Tos – a reminder of past times when people from Crikvenica tended olive groves in the surrounding areas and on the island of Krk. The Aquarium – located in the centre of Crikvenica, more than hundred fish species from the Adriatic Sea and several freshwater fish species can be found. The Zvonko Car Atelier – located near the Crikvenica Town Beach. Zvonko Car was a student of the famous Croatian sculptor Ivan Meštrović and the creator of many valuable works of art. Crikvenica has an adrenaline park which has a climbing trail with a network of steel cables, ropes and wooden platforms at heights between 1.5 and 8 metres. Bike trails are available not only in Crikvenica but across the whole Riviera, the Valley of Vinodol and the hinterland. Just like bike trails there are hiking trails and walking paths across the Riviera which give you the opportunity to see the beautiful nature of the area. Worth mentioning is the Love Path which gives you the opportunity to enjoy the peace of the forest and the scent of the Mediterranean plants as well as learn about the local historical and cultural heritage. 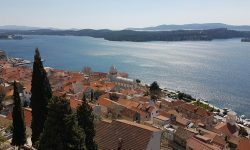 Take a boat trip to the island of Krk or Rab and visit some of their popular destinations and beaches as well as the small island of Kosljun with a Franciscan monastery which owns a valuable collection of sacred, ethnographic and literary items. Many national parks are in the vicinity like Plitvice Lakes, Risnjak National Park, the Northern Velebit. Visits to Postojna Cave in Slovenia are also organized as well as trips to Venice in Italy. Crikvenica has a shopping mall open in 2013, the Duga Mall shopping centre. It is the biggest centre in the area from Rijeka to Zadar; on four floors you can find all types of stores. The centre is dominated by the big Konzum supermarket in which you can find everyday groceries, there are clothes and shoes stores, a pharmacy and many more. For those searching for fresh groceries, fruit and vegetables, Crikvenica has a green market with a variety of products grown in the area. Crikvenica is a small town, so its nightlife during summer months mostly takes place by the sea, in beach and cocktail bars and restaurants with live music on terraces. There are no discotheques in Crikvenica. Crikvenica can by car or by bus be reached by the coastal road or by the highway; using the highway, exit in Rijeka and continue using the coastal road. The nearest airport is in Rijeka, that is, on the island of Krk which is 20 km from Crikvenica. Transfer is organized from the airport to Rijeka where you can take another bus to Crikvenica.